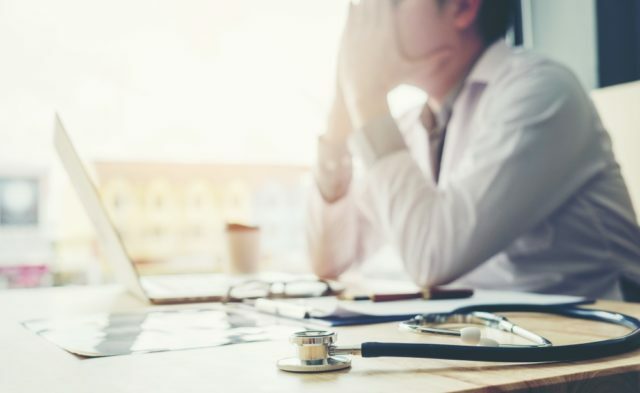 Too often we sort of try to think — it’s easy to think — something’s wrong with the particular physician who is having a problem, when a big part of the answer to the “why now” question — or “why are we experiencing this now,” or “why is this in our awareness now” — really has to do with the environment that many physicians train in and also work in. It turns out that those who have developed a way to weigh the problem have identified that as much as 75% of the burden of burnout comes from the environment and not from any issue related to an individual. So that’s very important also. Of course that lends itself to thinking about where we might intervene. At one level, there are interventions that we can work on to help individuals reclaim their resilience and get in touch with their own career aspirations, their own practice and what things bring them joy and pleasure and professional satisfaction. That’s one set of interventions, but the other really more significant one is the employment status and the built environment, so to speak, that physicians work in. That is also important because, increasingly, younger physicians are more often going into salaried positions rather than into solo private practice, so the environment is very important. Institutions that have already started to look at this are doing things like developing spots where doctors can socialize, where there’s human interaction. They’re rebuilding lounges in a different way to make them fun places that draw people in. There are number of other different interventions that we have heard about. One was from a department chair who paid for groups of his faculty to have dinner, just plan on their own, periodically, but with some structure to it so that they would actually do it. There are many different ways, but we know that the built environment is very important. When Sparks Stop Flying: How Is Clinician Burnout Tied to Patient Outcomes? A particularly significant thing at this point in time is electronic medical records. That’s one of the most complicating hassle factors, and part of the reason for the “why now” as opposed to 10 years ago or 20 years ago. This “dark ages era” of electronic medical records that we are in right now has a lot to do with why physicians are increasingly unsatisfied or feeling unfulfilled in their duties. It’s very common for people to see patients all day long, go home, and finish the documentation late into the evening. We just can’t — that’s not sustainable.